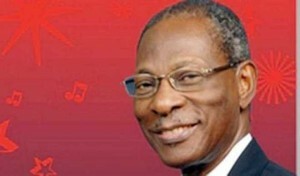 The Executive Management and staff of the Securities and Exchange Commission (SEC) note with grief the sad demise of Dr. Gamaliel Onosode who passed on in Lagos on Tuesday 29th September, 2015 aged 82. One of Nigeria’s foremost capital market experts, Dr. Onosode served as the inaugural President of the Chartered Institute of Stockbrokers (CIS) from 1995 to 2001. Prior to that, he had established an enviable reputation as a boardroom guru serving as Board Chairman of numerous corporations including Dunlop Nigeria Plc, Cadbury Nigeria Plc and Zain Nigeria Limited. During an illustrious career spanning both the private and public sectors, Dr. Onosode was a chief proponent for reforms famously, chairing the Presidential Commission on Parastatals in 1981. He was also an Adviser to President Shehu Shagari on budget affairs, helping to inspire discipline in public finance. Notably, his important work during the Second Republic earned him the respect and admiration of successive administrations since then. Dr. Onosode was a quintessential professional helping to establish and lead some of Nigeria’s most prestigious professional organizations like the Association of Pension Funds in Nigeria and the Nigerian Institute of Management. He was also a fellow of the Chartered Institute of Bankers. Born in Sapele, Dr. Onosode studied at the University of Ibadan. He was a notable disciplinarian and embodied corporate governance principles. He was nicknamed “Mr. Integrity”. He was passionate about environmental issues as a founding leader of the Niger Delta Environmental Survey. He was a devout Christian and philanthropist. Dr. Gamaliel Onosode has left behind a legacy of building strong and lasting institutions capable of leading Nigeria’s economic development. The SEC and the capital market community are implementing Nigeria’s 10-year capital market master plan which will make Dr. Onosode’s dream of a modern Nigerian capital market a reality.